Remco released this set back in the mid-70's. Shown above is the Canadian style packaging. 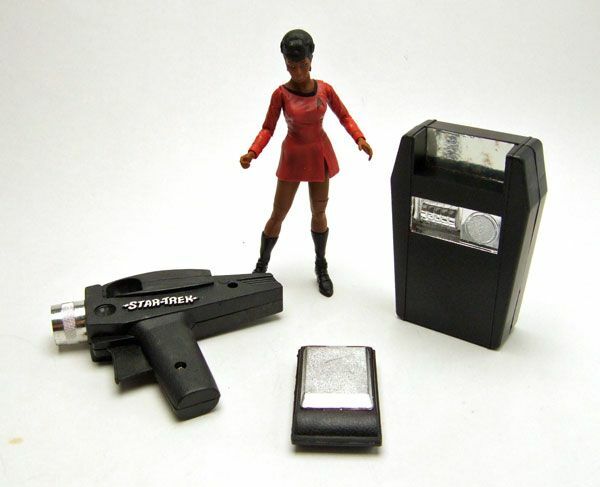 The phaser comes with a pack of small disks for you to load up and fire! The mechanism sticks a bit, but this thing still fires after all these years. Next up is your handy Tricorder. It lacks the strap of the original, and the design seems much more akin to the version included with the Mego figures, but it's still way cool. 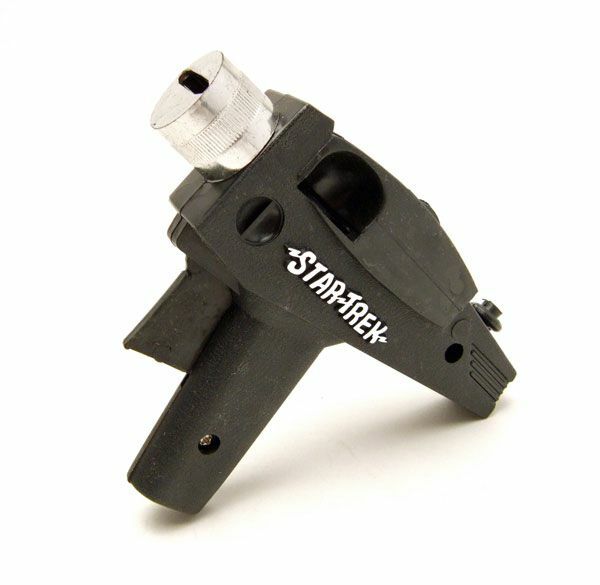 Perfect for the kid pretending to be Spock (which is what I would have done had I owned this as a kid). 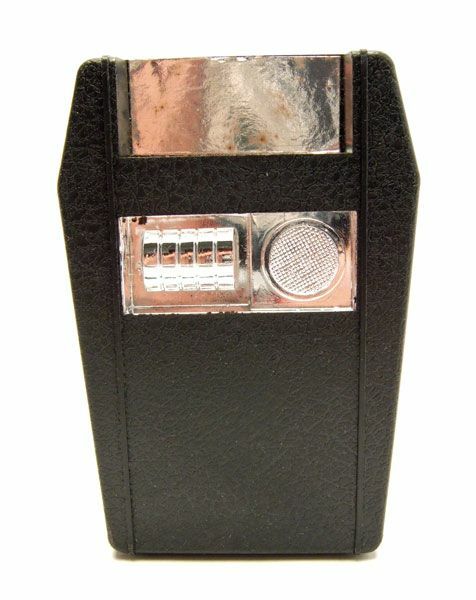 The communicator is really my favorite piece in the set. It has a little flip open top, and the inside is actually fairly screen accurate (for a kid's toy). I could just imagine running around outside and flipping this open to call for a beam-out. And the final piece of the set is the belt itself. There's little spots for each of your pieces of equipment so you can carry them with you everywhere! 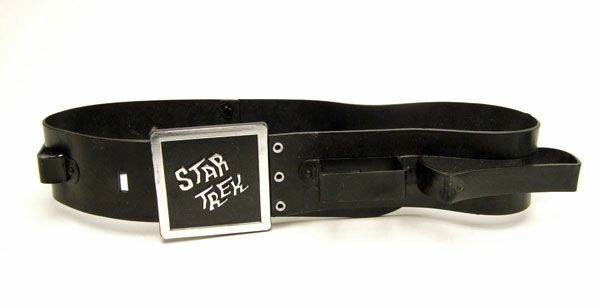 The belt is adjustable, and has a sweet logo at the buckle area. I would totally wear this if I could fit it. The only drawback on the set is the size. This was made for kids, and as such everything is about half the size of the actual props. Really, who cares though? I'd have gone nuts for this as a kid! Sweet stuff! Droooooool! That is a great set, I remember wanting one of these when I was young, I had a batman version though so it wasn't all bad. 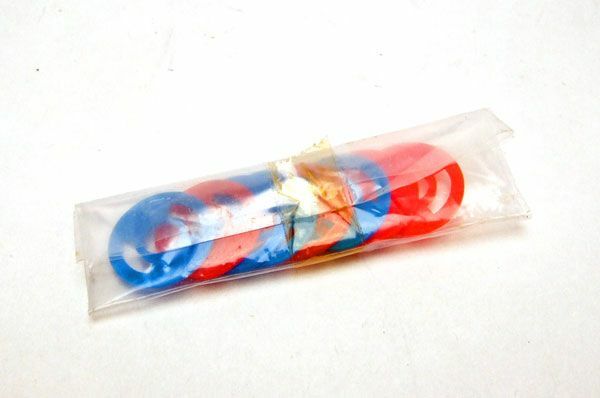 I never had this set, but I *did* get the model kit versions of the three props. They were kid-sized as well, but a little more detailed than these. 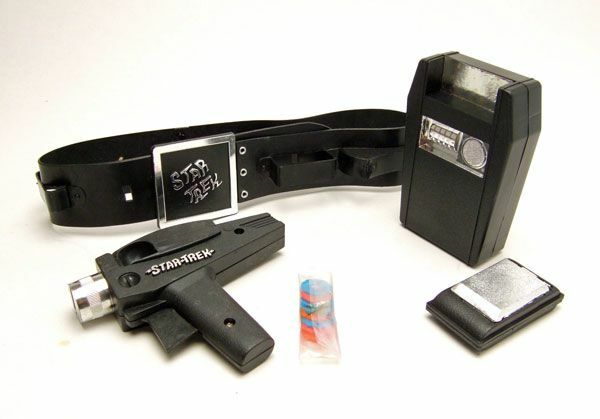 I glued velcro pads onto the phaser and communicator, and the matching pads onto a belt, and made my own utility belt to hold them. I actually still have them in my collection! 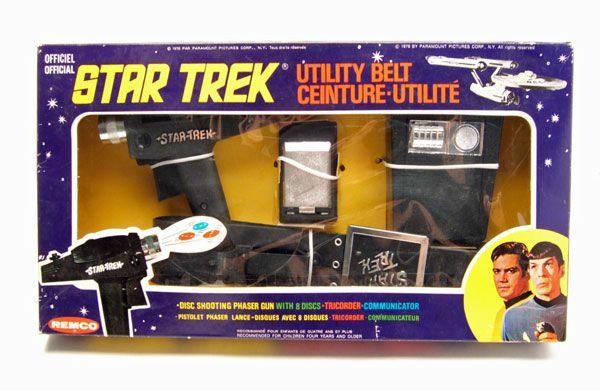 I believe this Utility Belt toy used the same general molds as the AMT Exploration Set model kit, with just a few changes, such as the model's phaser didn't need the huge trigger & the tricorder had the tilting top w/ the screen. It brings a tear to my eye to see this set. Great pics, James. Thanks! Thanks guys! Glad you enjoyed this one! 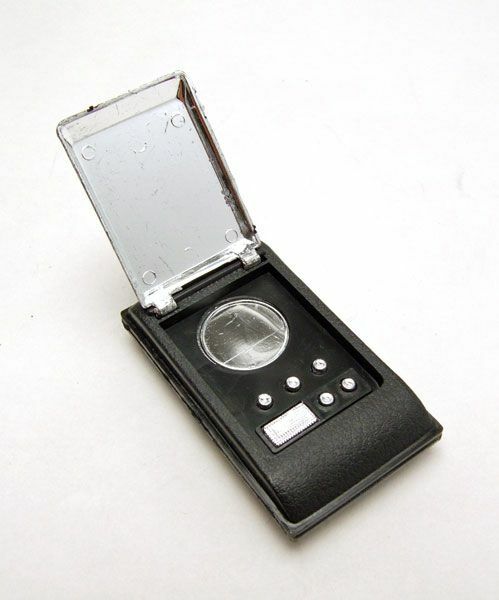 I remember these in the mid seventies.I wanted one of these as a kid.Except the tricorder was a bit of a disappointment though.It did`nt have the complete details.For the miniature display screen,speaker lights,and buttons were missing under,or in the flip top,which did`nt flip up.It was stationary,or molded in place opened,There was no opening door over the data disc and motif screen area,plus no compartment for McCoy`s medical vial tubes and medical hand held mini scanner either.